The upcoming Microsoft’s Windows 8 operating system is under construction to get embellished for users who have some or the other type of disability such as visual impairment, mobility impairment, hearing impairment, and the like. The program manager, Jennifer Norberg, said that they really wish to aid physically disabled users to experience the amazing Windows 8 apps like the “normal” people do. She explained each type of disability in brief in a blog. Click here to read the entire post. Improve the assistive technologies that are components of Windows, and provide a good experience with the Metro style UI. Provide developer tools that have baseline accessibility built-in, so that accessible Metro style apps are available in the Store. Also, check out our post on Reasons Why Windows 8 Won’t Be Dead On Arrival. Norberg said that whilst Microsoft will continue to enhance these ATs in Windows 8, also will it come up with a rich platform where AT vendors can do really well. Read the entire post here to get a detailed information. 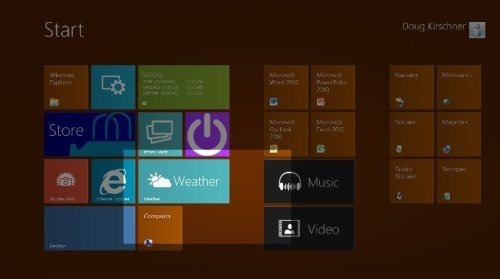 How Windows 8 Will Look Without A Start Menu Button?